Lombok has expanded their lighter side with six new collections: Devra Dining, Marisa Dining, Indah Dining, Anita Dining, Kendari Bedroom and Medan Living. 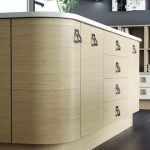 These new teak and solid oak ranges embody natural materials, great design and take Lombok into a more modern look. New dining tables have the solidity, scale and beautiful wood grain that Lombok customers have come to expect, but lines are sharper and details(such as the floating top of the Devra dining table) add a contemporary edge with the added touch of matching chairs with chunky slatted backs. 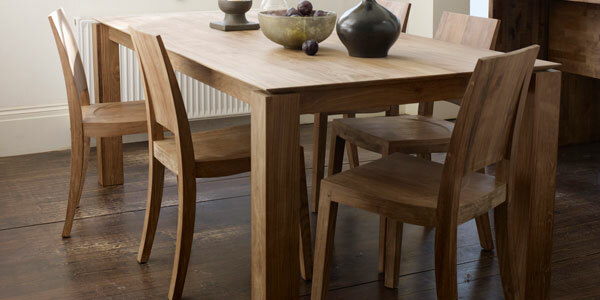 The Marisa dining table is designed for flexibility in limited spaces and has a butterfly mechanism to extend its size to seat more guests who are sure to be delighted to take their place on co-ordinating carved teak chairs that have an elegant tapered back. The Oak Indah table gives the collection a younger, fresher aspect with the introduction of natural oak with sleek matching dining chairs. legs are finished with a white lacquer. The table is paired with the Anita dining or armchair, woven in a strong paper weave. The Kendari bed collection has not been overlooked and the addition of the Kendari bed provides even more styles and finishes to choose from. A simple, low teak frame with an un-fussy linear design means that there’s space to let the light shine through in the mornings and is a perfect choice for those with sophisticated and understated tastes without compromising on quality. 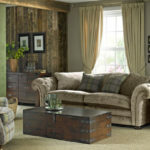 Constructed from solid teak with modern stainless steel finishing, the new Medan living room collection highlights the beauty of natural wood, whilst giving it a high quality feel. 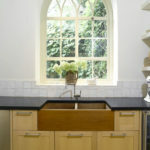 The collection is certainly a new journey into design for Lombok, but a successful one which is already proving popular.